The most common answer I get when I ask people How are you going? is busy, or a number of variations on the theme. When I really know the person and they know where I'm coming from I often ask; Busy doing what? It's easy to be busy isn't it? It's a different thing altogether often to being valuable. I'd much rather be valuable than busy. And if I'm being valued as well as being valuable then life doesn't get much better. Some folk wear being time poor as a badge of honour. There's not enough hours in the day they say. There is actually. It's easy to get caught up isn't in a seemingly always on 24/7 world and to have lost sight of what actually matters? I too heard myself say to myself the other day, Where did the day go? It's been said that time is the ultimate non-renewable resource. I find this a sobering thought. Particularly the older I get and when the realisation sinks in that there is much less time left than there's been in my life! In case you need a reminder that we are all remarkable please read here and here or pages 7 and 13 and 14 in the ebook 'Meaningful Work and The Meaning of Life' which you can download here. Imagine yourself in flow every moment of every day. And when it doesn’t work, stop and be still. Reflect and learn, and start again. The meaning of life is to live a meaningful life. Imagine yourself not being stressed, just being the best version of yourself in each moment. And when you mess up, take corrective action in the next moment. Move on, no regrets about what you did or didn’t do, and no attachment to what others did or didn’t do. 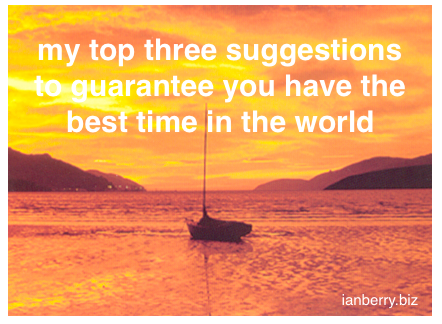 Imagine no time constraints, just promises you made, agreed to keep, and actually do. We all have 168 hours this week. Because you and I are one-of-a-kind human beings how we invest in this time is our choice. My best advice is take W Mitchell’s wisdom to your heart, "It's not what happens to you. It's what you do about it." 1) We made an unwise choice that seemed fine at the time and it’s been all down hill from there; 2) we and/or the person or people we’re dealing with right now aren’t being the best versions of ourselves, 3) the processes we’re following don’t make it simple for us to be the best version of ourselves and therefore we should modify or change the process before moving on. His 8th habit BTW is "finding your voice and helping other people find theirs. " I call it remarkablisation. However you name it or see it make it your priority, regardless of circumstance or situation, to see other people as remarkable and help them to become who they see. The following are the top 21 most common inhibitors I witness. Would you add any to the list? What’s on your list? What's the one action you will take next? 1) There’s an absence of visual measuring of progress in meaningful work. 2) There’s no agreed behaviours in place for values. 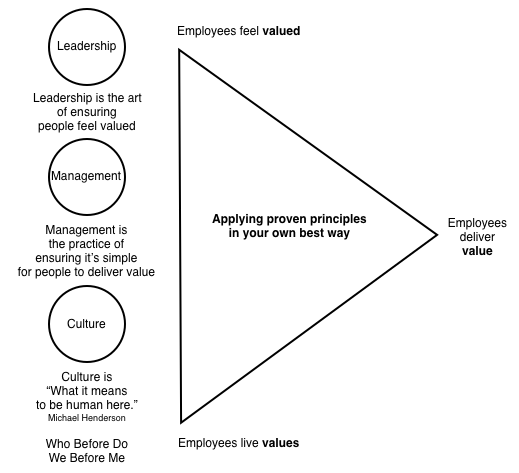 3) The delivery of value and who to is absent or unclear in role clarity statements. 4) Problem solving & decision making processes not being followed. 5) Mostly problems are solved and challenges met and performance returns to normal rather than opportunities being taken to innovate. 6) Not all processes, policies, procedures, practices, and systems means it’s simple for people to bring the best version of themselves to their work every day. 7) Conversations are avoided where there’s difficulty, conflict, or disagreements. 8) People are trying to manage change rather than lead it. 9) There’s no change process being followed. 10) Decisions are being continually revisited. 11) Documentation is produced in lieu of action. 12) Meetings occur with key players absent. 13) Meetings have no agendas and/or the purpose of them is unclear. 14) Meetings are poorly conducted. 15) Questions about whether the purpose of the meeting was fulfilled aren’t being asked. 16) Whiteboards are full and scoreboards aren’t easily seen. 19) Not enough deep work is being undertaken and shallow work dominates. There’s a majoring in minors. 20) Confusion between what information should be shared and what doesn't need to be. 21) Overall there is a lack of people being appreciated when they do well and a lack of people being held accountable immediately they need to be. A key is not be feel overwhelmed by any of these inhibitors or those you may have added to the list. The keys are What's the one inhibitor you see right now? and What's the one action you will take next? PS Below is my foundation model for ensuring everyone is having the best time in the world. It comes from The Appreciative Leader handbook.